The Suzuki Hayabusa is quite simply the Ultimate Sportbike. Twist the throttle on this iconic motorcycle and it reacts with awesome acceleration and crisp throttle response in every gear with an unbelievable top-end charge. Thanks to a lightweight and rigid twin-spar aluminum frame and state-of-the-art suspension, that performance is matched by equally impressive handling, providing exceptional control in tight corners, reassuring stability in sweeping turns and a smooth ride on the highway. 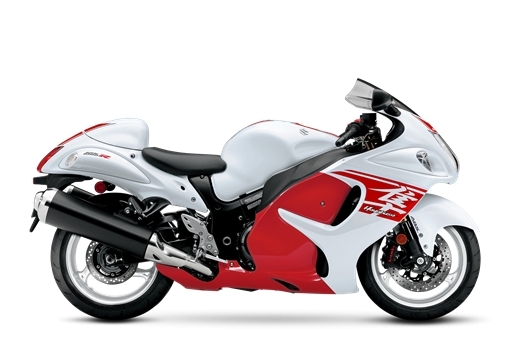 The sleek, aerodynamic body work functions as it appears so the Hayabusa slips through the wind like a Peregrine Falcon.